Sprinklers in car stackers is an important and somewhat overlooked feature. We explain why sprinklers are so important, how to comply with changing regulations and how to integrate them into your car stacker system. It goes without saying that ensuring that your building design is compliant with the latest fire regulation is essential. Here at Klaus, we are dedicated to ensuring the utmost safety of our car stacker products and that includes fire safety. 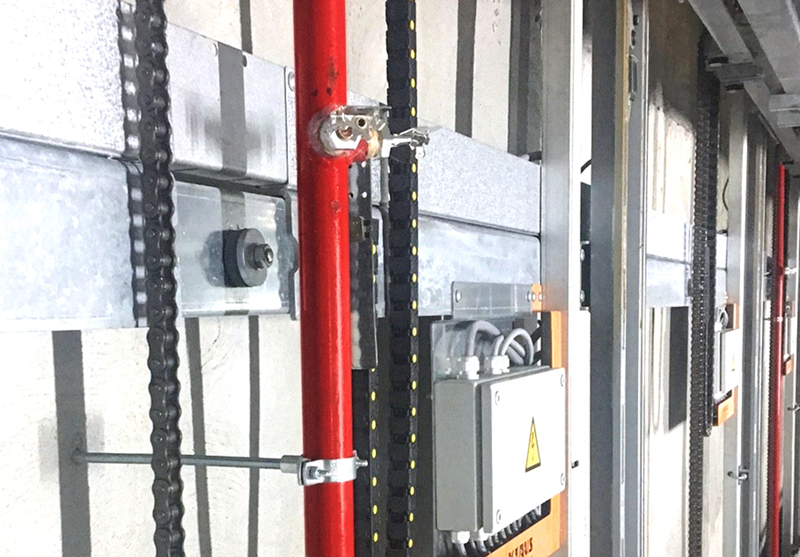 Naturally, the integration of sprinklers into the car stacker build is the best way to ensure compliance with state and federal fire safety regulations. Sprinkler integration into mechanical parking systems is now commonplace in the Australian construction industry. But what are the best ways to get it done right? As the regulation of sprinklers in car-parking areas becomes more rigorous, a little forethought in the early design stages can prevent major headaches during the build. 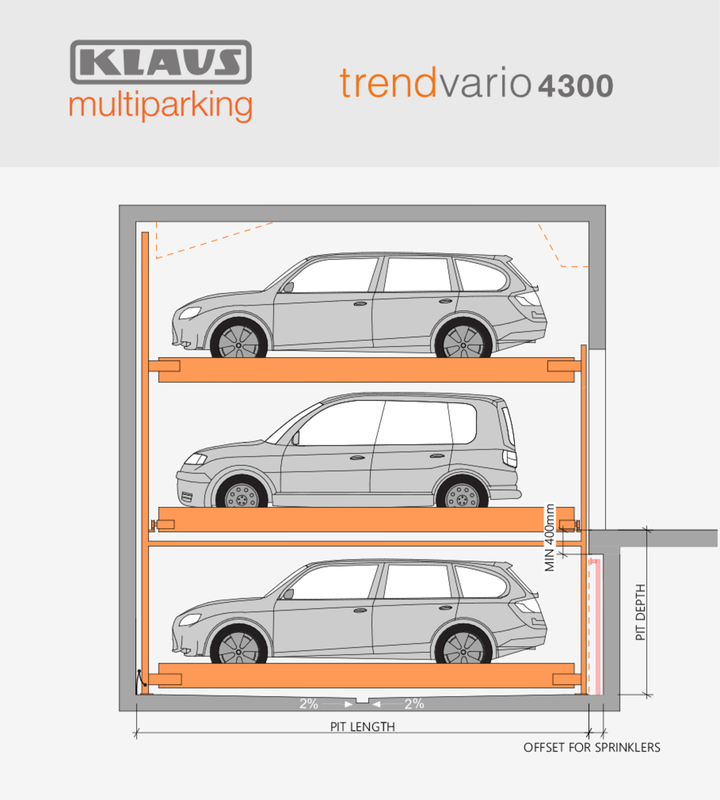 All car parking systems have very tight tolerances allowable, with very little space outside stackers for sprinklers. This tight fit can cause difficulties during the construction stage. So, it is highly beneficial for architects and planners to allow space for sprinkler services outside of these system boundaries. This ensures there are no clashes or conflicts during the operation of the parking system. 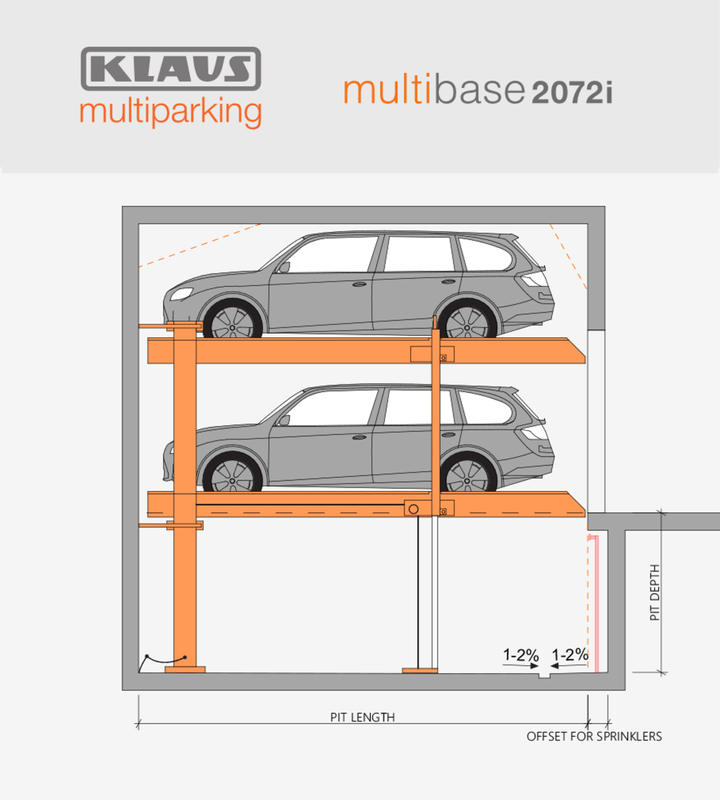 Depending on your KLAUS Multiparking product, the vehicles may move either vertically, or horizontally, meaning the placement of services is even more critical. A small design change as simple as a service area beneath a cantilevered aisle slab, providing a zone of around 100-150mm would be more than sufficient for compliant fire services. Plus an additional 100mm in pit length would ensure adequate covered can be provided to the rear of the system. For further design assistance, please contact our team on 1300 4 KLAUS.